This genus is currently used for two species associated with Rosa in western North America. One of the species has been placed in various genera, reflecting the rather non-distinctive morphology of the group. I have one of the species in my collection, which is easy to find on both Rosa and Corydalis scouleri anytime the plants grow in proximity. Many species of Aphidinae use Rosa as host; in western North America, this is one of the rarer species except in areas where Corydalis scouleri grows. This plant is a very impressive perennial of mostly high-elevation streamsides, growing to well over a meter in height. 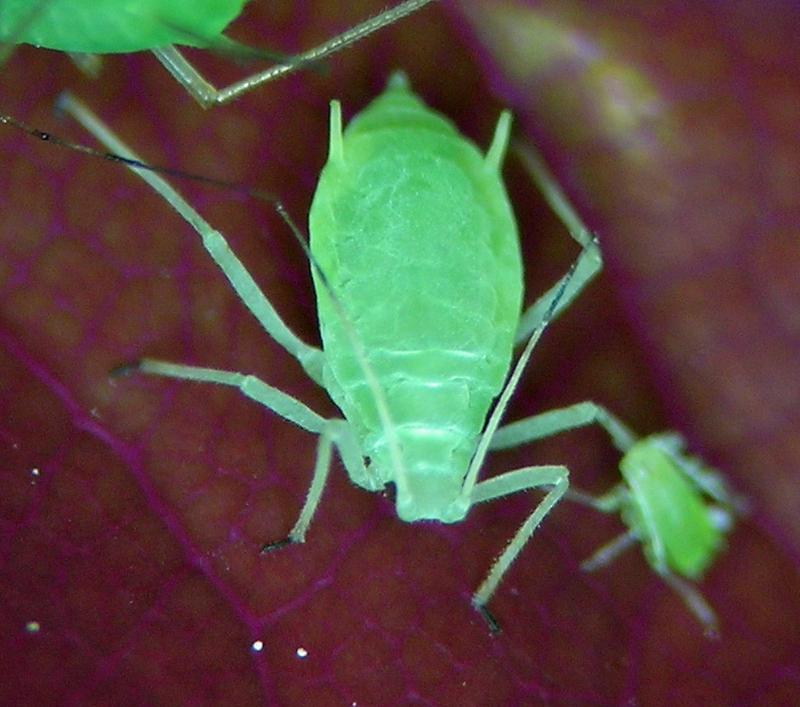 I have collected this aphid on both cultivated and wild Rosa, indicating a wide preference for primary host species. So far I have material from British Columbia, Washington, and Idaho. Pseudocercidis tutigulus, probably a fundatrix, on cultivated rose in our southwestern Idaho garden.